What makes the "Portrait of Wally" case so significant? A personal note: I was interviewed for and have a role in the documentary I refer to in this article. The film also features some of my work at The New York Times in 1997-98. If true art aims to change the world, perhaps no picture has proven as successful lately as Egon Schiele's 1912 tender, traditional portrait of his mistress, Wally Neuzil. Far less graphic and edgy than the works that made Schiele's reputation, the painting is nevertheless destined for iconhood because of its history as Nazi loot and the 13-year legal battle waged for it, which was finally resolved in a 2010 settlement between the estate of Lea Bondi Jaray, the US government and the Leopold Museum in Vienna. 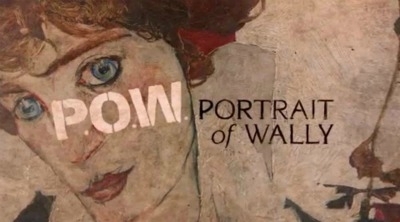 Now the subject of a documentary called "Portrait of Wally," which is due to premiere at the Tribeca Film Festival in New York on 28 April, the case and the painting are headed for more attention. There have been plenty of restitution claims, before and after, involving better works and more money. But early on in "Portrait of Wally", Willi Korte, an independent researcher who co-founded the Holocaust Art Restitution Project, rightly says, "I can't think of any other case that had this effect, this significance. It is the case, out of all art restitution cases that I can think of, that really shaped the discussion for the following years." I was present at the start, at the Museum of Modern Art on 8 October 1997, for the opening of "Egon Schiele: The Leopold Collection, Vienna," which included Wally. There, Jane Kallir, the director of Galerie St Etienne, who knew the painting's story, whispered the words "Nazi connection" in my ear. As she says in the film, "That was the beginning of events that I think none of us in our wildest dreams could have anticipated at that moment." I went on to report and write about Rudolf Leopold, and his many questionable collecting and conservation tactics, in a catalytic article published in The New York Times on 24 December 1997. Before long, Bondi's heirs had petitioned MoMA, to no avail, and gone to the government for help. When a subpoena from the Manhattan District Attorney to keep the painting in the US failed in New York State court, the US Customs Service seized Wally as stolen property that had been imported in violation of federal law, and the US government filed an action to retrieve the painting permanently on behalf of the heirs. The revelations about Leopold and Wally caused an uproar in Austria, and by the fall of 1998, the Austrian government had passed a new restitution law, admitting that it was prompted because the events and the scrutiny set off by Wally. But it was the initiative taken by the US government that made all the difference, signalling that it would expend national resources to seek justice in such cases. A few additional elements made the case possible. For one, the government could never have acted if the painting had not already been in America—and that has simply not been true in other restitution claims. For another, the case quickly became a cause celebre for the media, with interest moving beyond the Times to radio, television and the print press in the US and—this is key—in Austria. Yes, some media outlets in Austria took Leopold's side, but others subjected him to tough scrutiny. Meanwhile, MoMA, which actively opposed the government's actions on behalf of the Bondis, was joined by a raft of American museums that placed their ability to borrow art from abroad above finding out who actually owned Wally. In my original 1997 article—"The Zealous Collector: A Singular Passion For Amassing Art, One Way or Another"—Glenn D. Lowry, then and now director of MoMA, warned, "one must be very careful about applying the standards of today to things that happened in the past." Fair enough, sometimes. But not, now, when it comes to Nazi-looted art.